Squared Brain Web Design is a professional web design firm that provides custom web design services and marketing solutions to businesses. As a leading web design company, we focus on merging innovative ideas and tailored web page design to achieve the most effective online results at affordable rates. We offer tremendous personal attention to each of our clients, regardless of how large or small the project. 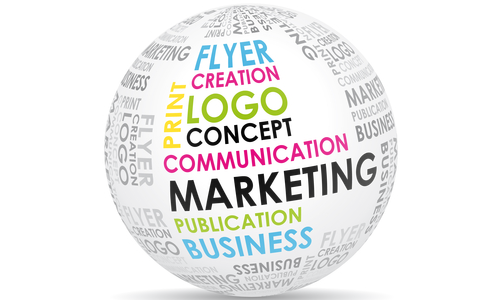 If you are looking to take your brand to the next level, or launch a campaign that generates revenue, please feel free to contact Squared Brain Web Design to learn more. 1. Do you custom design my website or will you use a template? 2. Which browsers will my website work on? 3. How will the website be updated? 4. After the website is built and paid for, who owns the website code? 5. Can I move the website to another host, or designer? 6. Will my website design be outsourced? 7. Who do I contact if there is a problem with my website? 8. What happens if I fire you? 9. How long will it take to complete my website? 10. Will my website be W3C (World Wide Web Consortium )compliant? 11. Do you offer logo and printed material design so I can have a consistent look for my business? 12. Will my website meet ADA accessibility standards and will it be 508 compliant? 1. Did you register your domain name? 2. Have you decided on a web hosting company? 4. What is your main message? 5. What are several websites that you like?.... Why? 6. What are several websites that you dislike?...Why? 7. How many pages do you need? 8. Do you have your content done? 9. Do you currently have a website? 10.How often do you need to update your website? 11.Does the website launch date coincide with any other important milestone? 12.Do you have any design specifications? 1. What are the goals of my website? 2. Do you have all of the content required to start your website project? 3. Will there be a formal website agreement to eliminate any misunderstanding between you and the designer? 4. How will communications about the project progress be done? 5. What is the process/procedure for successful completion of my website project? 6. What is the procedure for making changes to my website? 8. What are my responsibilities in the process of successfully completing this project? 9. How are changes handled and approved? 10. How is maintenance on my website handled? 1. Does he/she have experience designing websites like the one that you want? 2. Will he/she be responsive to your questions and concerns about the progress of the project? 3. Does he/she prefer to work alone or on a team? 4. Is he/she proficient in the various web programming languages? 5. What industry sites and blogs does he/she read regularly? 6. How many sites is he/she currently working on? 7. Can he/she also design the graphical content that will be used for other printed material? 8. Can he/she create a database if you need one? 9. Does he/she have other clients that are willing to talk to me? 10. How long has he/she been designing websites?